Kajal has always been a signature tool for Indian girls. I love trying different kajals and it is a must have item in my makeup bag. I have slightly big eyes and kajal adds extra effect to them. 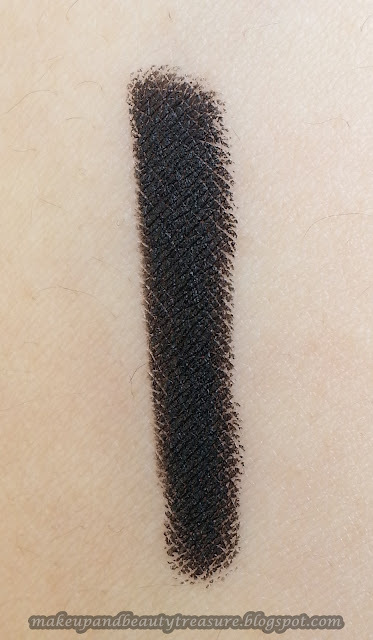 I was searching for a jet black kajal for a long time and when I swatched Faces (my favorite brand!) kajal on my hands I got really impressed. Today I going to discuss my experience with Faces Kajal. 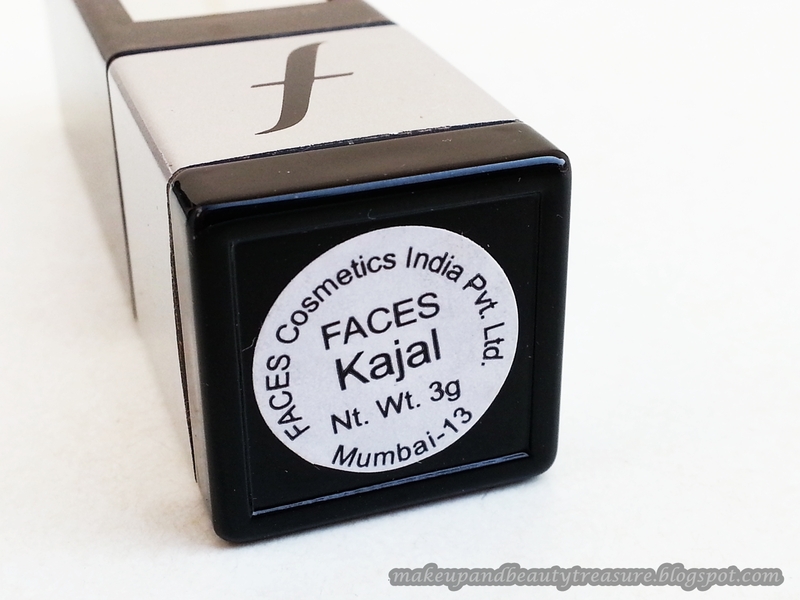 Faces kajal comes sealed in a plastic and cardboard packaging. 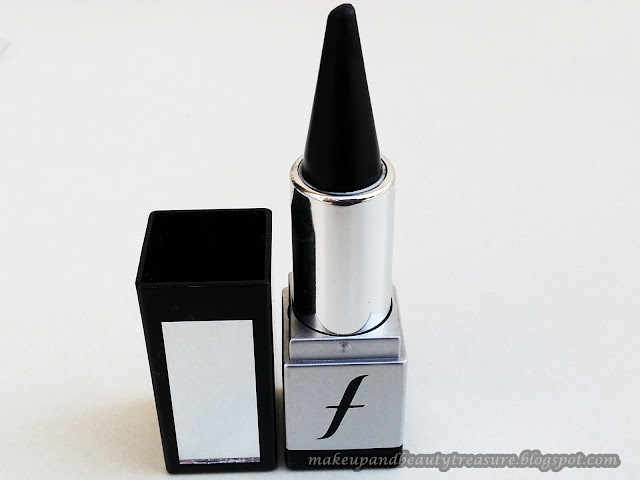 The actual product comes in a sturdy, glossy black and silver lipstick type packaging with a mirror on the lid. 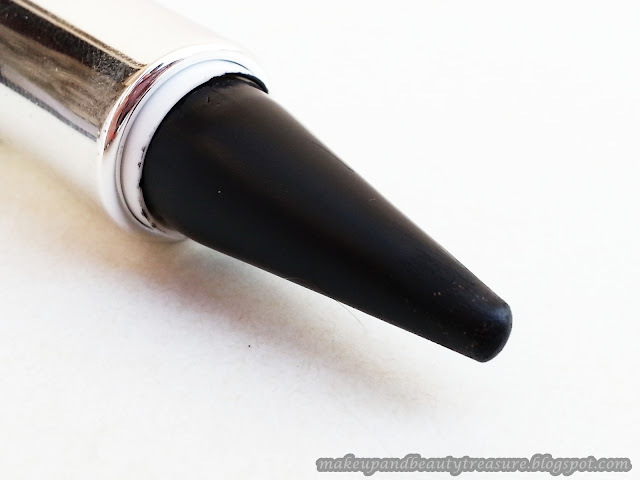 The lid snaps shut with a satisfactory click and can be easily carried around in a makeup bag. The mirror on the lid is quite small but is great for on the go touch ups. The texture of the kajal is very soft, smooth and creamy. It applies smoothly on my waterline without dragging or scratching my skin. It glides easily across the waterline without smudging, budging or applying pressure. The pigmentation of the kajal is superb. 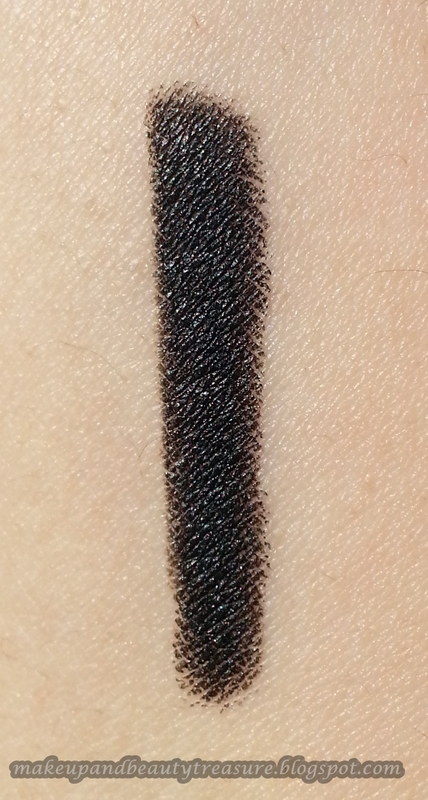 It is one of the blackest black kajal I have ever used. It gives jet black color in 2-3 swipes and adds dramatic effect to my eyes. The staying power is pretty awesome too. It stays put on my lids for a good 4-5 hours after that it starts fading. The kajals that I had used earlier used to accumulate at the inner corner of eyes and fade away completely but with this kajal I haven’t faced any problem. But if you have watery eyes then there are chances that the kajal may accumulate at the corners. It makes my eyes look much more fresh and awake especially when I am tired. It doesn’t smudge unlike other kajals. When I don’t sleep very well, this kajal because of its jet black color makes my tired eyes look bright and bigger. The kajal doesn’t cause any adverse effects to my eyes. It would suit sensitive eyes as well since it does not contain lead. It contains almond oil which is known to promote eye lash growth but I haven’t seen any changes in my lash growth. It is easy to remove the kajal with a good makeup remover and you won’t wake up with raccoon eyes. · Sturdy and travel friendly packaging. · Glides effortlessly on waterline. · Superb color pay off. · Gives the blackest black color in 2-3 swipes. · Stays for a good 4-5 hours. · Doesn't contain lead and would suit sensitive eyes as well. · Makes my eyes look bright and bigger. · Doesn't cause any adverse reactions. · False claim of eye lashes growth. Faces kajal has soft, smooth and creamy texture and glides effortlessly on my waterline. It gives jet black color in 2-3 swipes and makes my eyes look bright and bigger. The staying power is super and it stays put for a good 4-5 hours after that it starts fading but doesn't leave your eyes completely bare. It doesn't accumulate at the inner corners of the eyes and smudges slightly unlike other kajals. I love this kajal to the core and shall definitely recommend it to everyone. 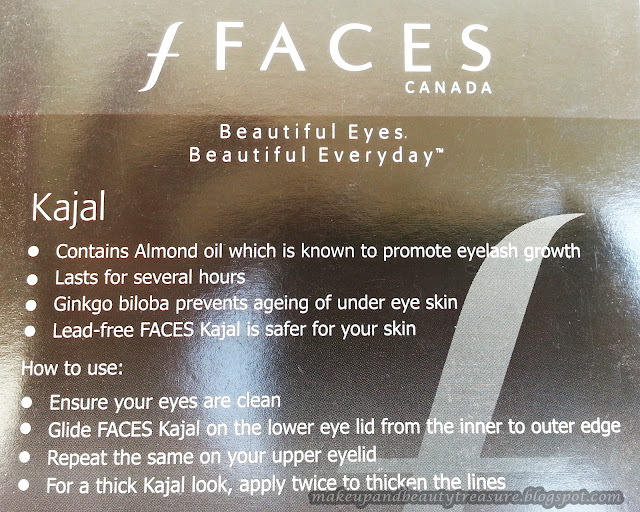 Have you tried Faces kajal? Which is your favorite kajal? Share in the comments below! Will definitely buy Faces - perfect timing, my Revlon just expired and as usual I am throwing the whole pencil away. I like its packaging, it so pigmented na. Yeah it has classy packaging n is very pigmented too! Yeah you should definitely try this kajal. Yeah you should try with this kajal. You will start loving Faces for sure. Thanx Rajalakshmi :) Me too love it. Its much better than Shahnaz kajal Shikha! Looks like a great kajal Megha:)I'm gonna buy it! Love the packaging...it's so appealing! where can i get this faces kajal online :) can u pls let me knw !!!! It is out of stock on almost all websites. U can go and buy from Faces store or counter. Thanx Jp. Its a fab kajal. 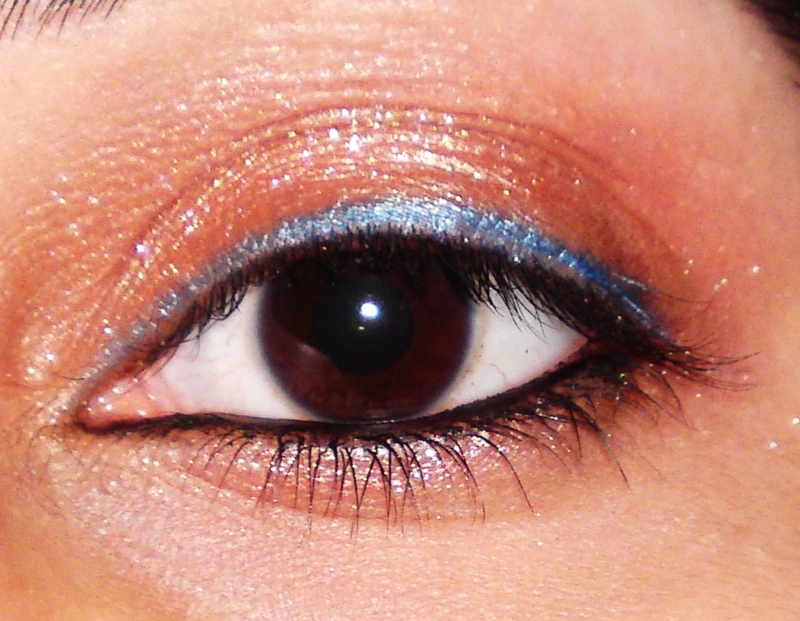 I had applied Nyx long eye pencil in blue lagoon. I had reviewed it on my blog. U can check it out in the search box. Thanks for sharing. 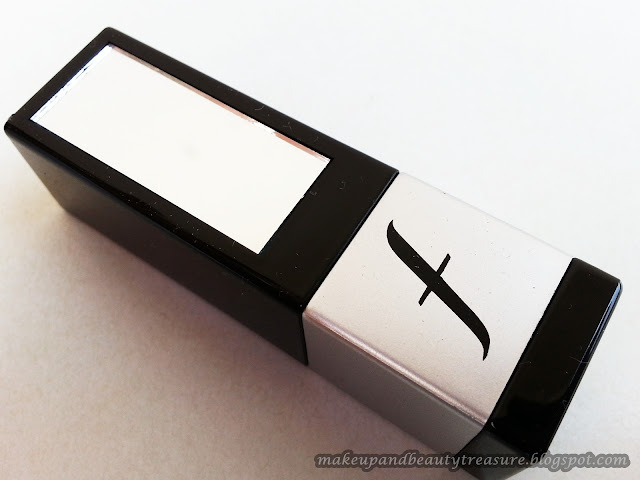 Must have a trial with this eye kohl. I'm using lakme eyeconic kajal to highlight my eyes. In fact I even use it as an eye liner. I think it has been discontinued as i haven't seen them in stores for a long time!